Meander Travel, founded in 1977, runs daily departures from Kusadasi in Turkey to Samos and Pythagorio in the North Aegean Greek Island group. Meander Travel is a Turkish tour operator specialising in cultural tours sharing history and religion. You can book Meander Travel ferries with AFerry. See below for detailed timetable information and the best prices customers have found recently. If you see a price you like, use the Get Price button to book! There are two ships in the Meander Travel fleet; the Meander Express and the Kusadasi Express. 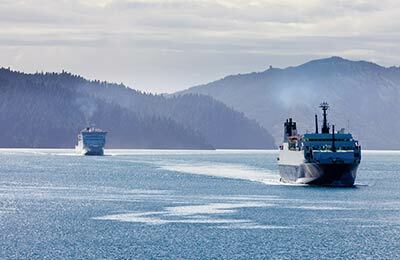 Both ships are fast vessels and can carry upwards of 240 passengers. Onboard are comfortable lounges with panoramic windows, and an outdoor deck offering superb views of the Turkish coastline and the Aegean sea. Meander Travel is a tour operator, founded in Turkey in 1977. The company charters its own ferry services to connect Kusadasi with Samos and Pythagorio. Whether you choose the Meander Travel Kusadasi to Samos route, the Pythagorio Kusadasi service, or any other Meander Travel sailing, you are bound to have a relaxing and comfortable journey safe in the knowledge that you got a great deal with AFerry. How long before departure should I arrive for Meander Travel?